Find below all information about our best adwords management services for Australian businesses. Brought to you by MAU. Digital Marketing Specialist at eDigital. ✔ Google Adwords Campaign Optimisation and Management, including keyword and ad group optimisation by a Google AdWords certified professional. ✔ Weekly adjusted bidding by your eDigital Specialist who will review and optimise campaign. ✔ Keyword Strategy – Your dedicated eDigital Specialist will provide you a list with the most optimal keyword we should start your campaign. You also have the freedom to choose any keywords you want. ✔ Ad text creation for ad groups. ✔ Media Spend changes per month. ✔ Monthly report of Campaign performance at the end of each month delivered to your preferred email address. ✔ Access to call your eDigital Adwords Specialist to review monthly reports and agree on next month actions. ✔ Ensuring top-performing groups are getting the traffic they deserve. ✔ Not paying too much for highly competitive terms. ✔ We will not bid more than what you can afford. More often than not, the top position is not the most profitable. WHO DO WE LEARN ADWORDS FROM? Brad Geddes. Founder of Certified Knowledge, a PPC training and toolset platform. He is the author of Advanced Google AdWords, and an official Google AdWords Seminar Leader. WHAT’S OUR ADWORDS BIDDING METHODOLOGY? Manual bidding. Most of our clients and mid size business that do not required bidding for more than 800 search term combinations. We adjust biddings manually ( not letting the fox – google automated bidding – go crazy in the hen house) depending on different factors influencing their industries. Different Factors. We raise or reduce our clients biddings depending on conversion goals (Cost per Acquisition goals), search volume, volatility (trends), CPC ranges, and workflow. The higher any one of those items are, the more often bids need to be examined. A site spending $100/month does need minimal daily bidding adjustments. An account spending $4 million/month will need to change bids multiple times per week. Some companies watch how busy their sales force is and adjust bids or campaign budgets in real time based upon call volume, phone wait times, and their current capacity, which is a workflow bidding environment. Lowest CPC focused bidding: We start your campaign with minimal bids and make little increments every week see what ad position (sweet spot) is the most optimal in terms of conversions. You might find that your ads do not need to be on position one or two. The downside is that it will take longer to build a good QS Quality Score. Quality Score focused bidding: We might take the suggested max CPC by the traffic/keyword estimation tools and add another 51% to the max CPC. For QS quality score optimisation, it’s better to start high and come down than to try and keep climbing up. This strategy will help build that QS Quality Score right out of the start. Understand the true value of a customer (customer lifetime value) and work to increase the customer’s value post sale. If you can raise the customer value and have a true picture of customer worth, then you can make much better bid decisions. Competitors that bid really high, might have in reality a great lead nurturing, up-selling, and customer retention programs (loyalty programs) that make their customer worth more their clicks. Schedule your optimisation. Don’t obsessively look in campaigns every day and make reactionary changes. If you make bid changes every day, most likely you are not gathering enough data for those changes to be warranted. Use your calendar or project management system to task you with regular bid optimisation, ad optimisation, search query report review, etc. Keeping your optimisation on a regular schedule will ensure you are making the right changes at the right time based on the right data. Google Adwords Media spend. You can invest as much as you would like however there might be some insights we can pass related to search volume and estimative Cost per Click fees that we highly suggest you take into consideration when deciding your monthly budget. Find out how Google calculate your clicks. Landing page optimisation. You need to ensure you have relevant content on live pages in your website that highly matches the keywords we will be bidding for. eDigital can train you on how to create a compelling landing page. WHAT IF YOU NEED TO CANCEL YOUR GOOGLE ADWORDS CAMPAIGN? There is no cancellation fees. However the eDigital Management and Optimisation fees you paid in advance are not refundable. We will set up the adwords campaign under your company name so you will own the account. When cancelling our services you will still have access to your account as you are the one who owns it. WHAT IF YOU HAVE ALREADY A GOOGLE ADWORDS ACCOUNT? Tight ad groups to a max of 20-25 keywords, making sure every ad group has similar and relevant themed keywords so that the ad shown matches the keywords used in a search. Consider placing our top 10 best performing keywords into a an adgroup of their own, creating targeted copy for each of them. Remove keywords with zero impressions or very low impressions since they will have an impact in the overall QS (Quality Score). Begin adding new keywords using competitor research. Pause low QS keywords ONLY in the case that their text ads and landing pages are already optimal and still keyword is not performing. Review text ads have the right most optimal visible URL. Review opportunity to add/change “extensions”. Review landing pages for every ad group and confirm they are the most relevant landing page. Publish new landing pages for new ad-groups. Review exact, phrase and board match and bidding strategy. Generally we should be bid higher for exact matches followed by phrase matching. Delete/Pause keywords for seasonal events. Re-allocate this seasonal budget to trending keywords/ad groups. Have all ad-groups, campaigns and accounts have the optimal negative keywords? There might be some keywords that should be moved to account level? some that can be duplicate to other campaigns? Adwords management package start at $295 per week. Contact eDigital today! We will send you an email confirming the payment with an attached invoice. We will call you to confirm campaign objectives. We will email you our suggested keyword list for you to approve. Once keyword list is approved, we will set up campaign, create campaign structure (adgroups, keywords, bidding) and push campaign live. Campaign will start running and you will receive your first eDigital Adwords report at the end of every month first month. Why not keep your AdWords Management in house and only hire an AdWords certified professional to offer you best practices and top actionable recommendations improve your current AdWords performance. This eDigital Google AdWords Consulting session is for you! 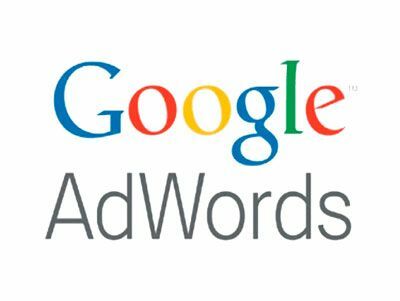 Please find below a all the information about the session and the topics that can be included on your custom AdWords session. Delivery: Our AdWords session is delivered via Skype.